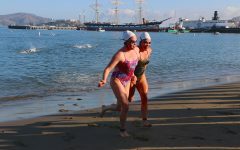 350 SWIMMERS · 1.25 MI TO AQUATIC PARK · TEAMS AVAILABLE! On June 11, 1962, Frank Morris and John and Clarence Anglin chipped through their cement cell walls, squeezed through a ventilation shaft to get to the roof, climbed down a drain pipe, scaled a 15-foot fence, and entered the frigid waters of San Francisco Bay. They disappeared into the night, wearing only the meager life preservers they made from stolen rain coats, and were never found, seen, or heard from again. DO I NEED TO BE A CENTURION TO PARTICIPATE? Nope! 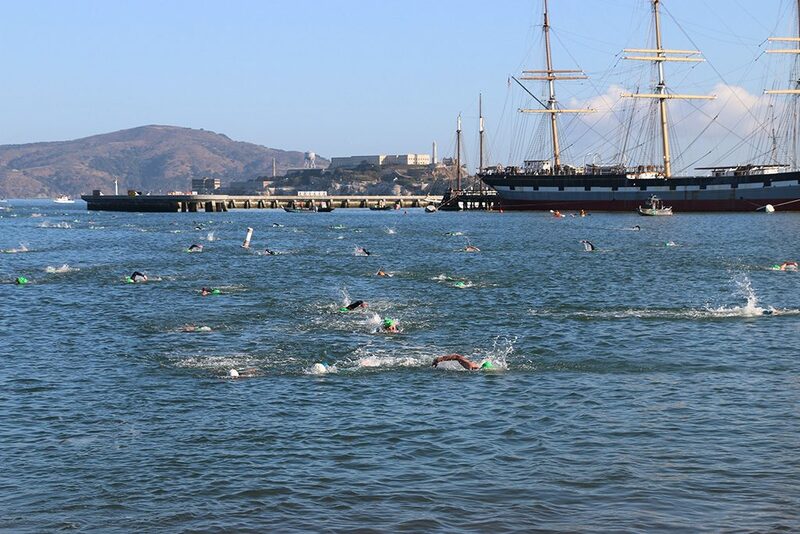 As long as you're strong swimming in the open water, we welcome first time Alcatraz crossers and Centurions alike. DOUBLE DOWN WITH THE SPLASH & DASH! Need more of the bay? 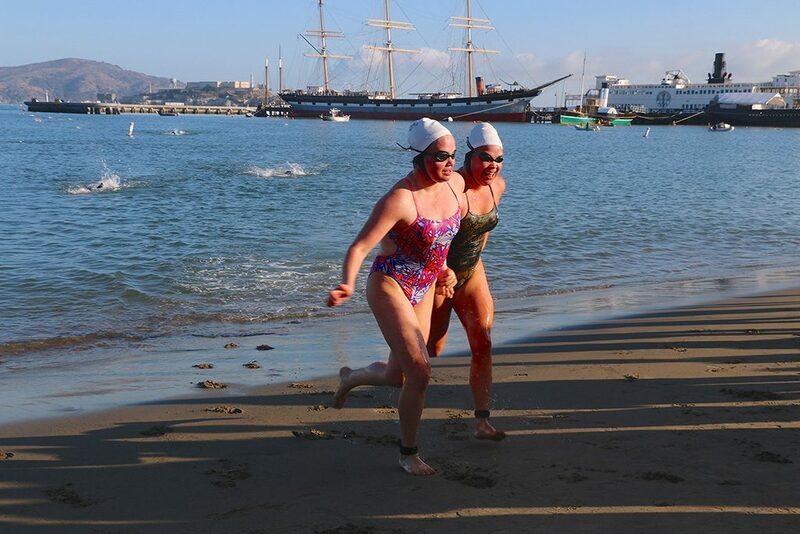 Join us for a scenic aquathlon in 2019, starting with a 2K swim and 5K run in Crissy Field towards the St. Francis Yacht Club and out to the wave organ, where you'll turn around and head back to the finish. 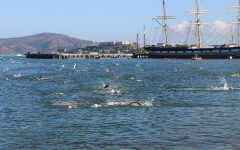 Join 350 swimmers in this 1.25 mi swim to Aquatic Park. Discounted team registration available for teams of 3+! 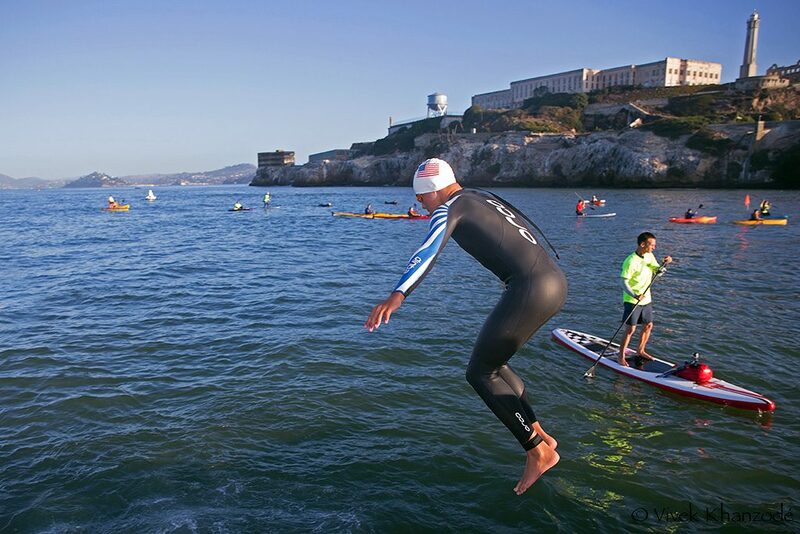 Whether you're an Olympian or a first time Alcatraz swimmer, join us. 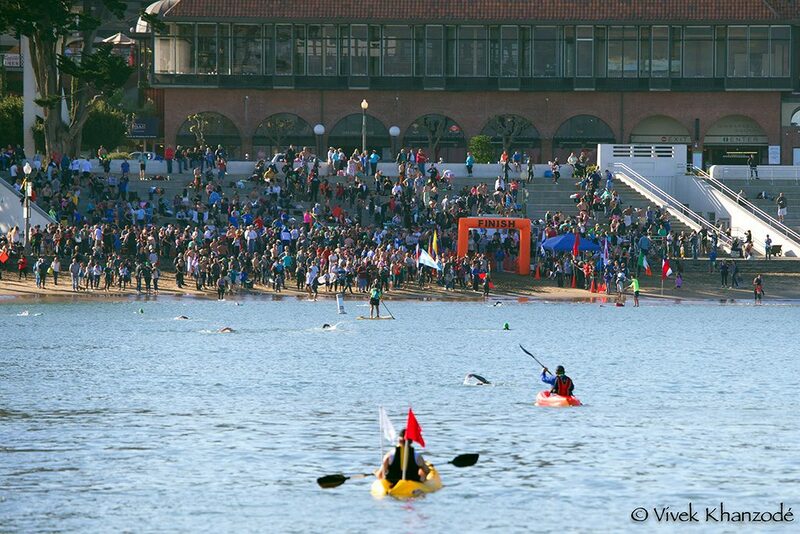 We are looking forward to racing with you in the bay! WHY DON'T WE JUMP OFF THE ROCK ITSELF? As Alcatraz is partly a bird sanctuary, boats, kayaks, and the people on them are prohibited from getting within 100 meters of Alcatraz, especially from February through September which is breeding season. 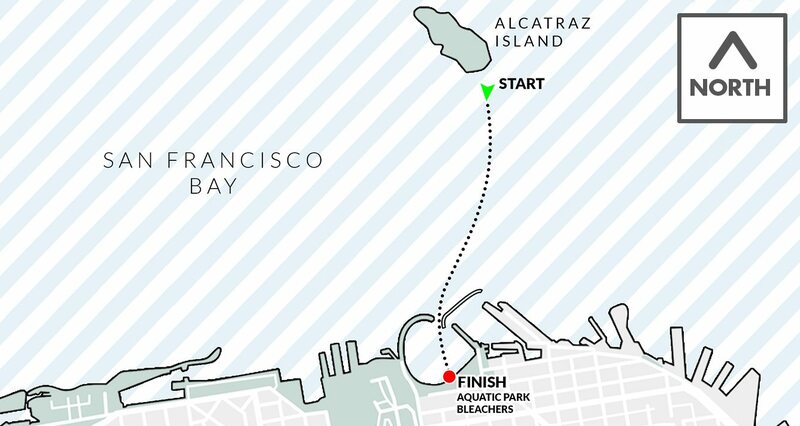 This means our Alcatraz crossings do not start directly at Alcatraz. 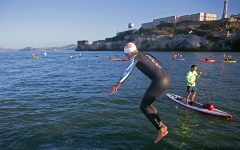 Water World Swim respects the environment, aiming to keep the sport of open water swimming a live collaboration between the athletes and the oceans.